On our second day in Weligama Bay, we decided to take the day out in Galle Fort. First built in 1588 by the Portuguese (later on fortified by the Dutch), Galle Fort is both a historical and architectural heritage monument in the Bay of Galle. So right after having breakfast in Twenty Two Weligambay, we made our way via bus to town of Galle. Our plan was to explore the nostalgic streets the whole morning. 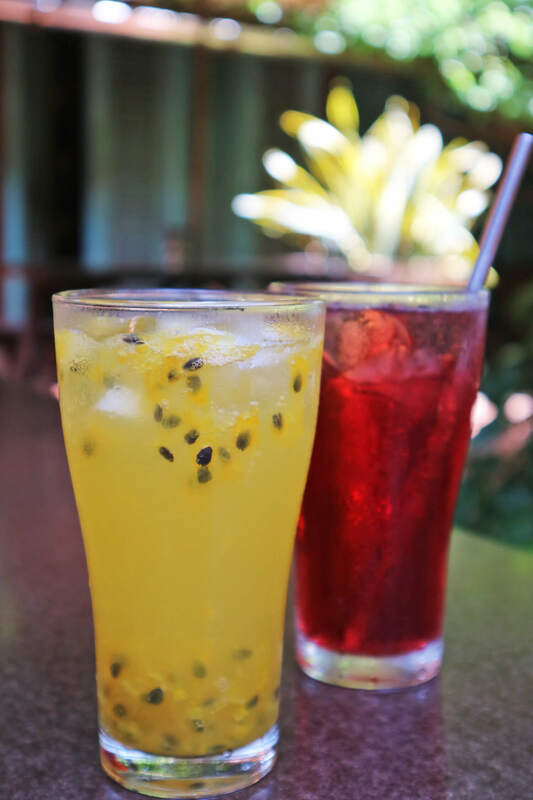 Then head to a hearty lunch in the famed Fortaleza Galle Restaurant and Bar along Church Street, Galle. 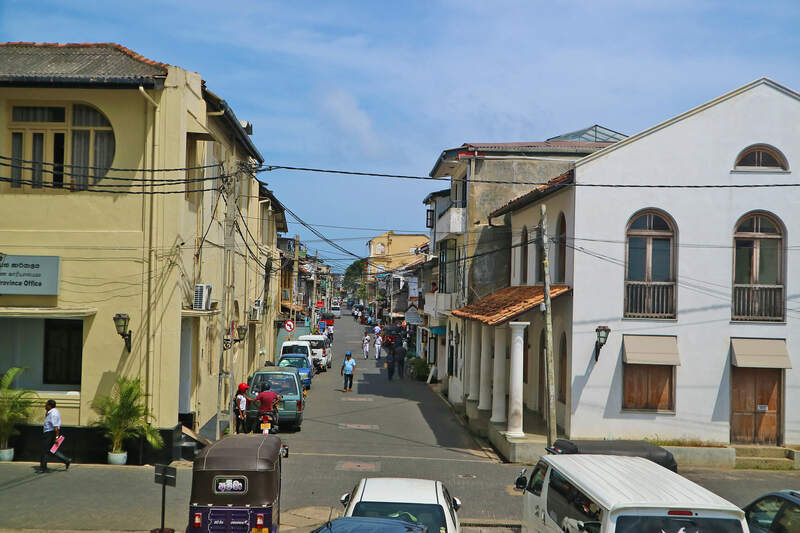 The soul of Fortaleza is alive throughout their 5 boutique hotels in the Galle Fort area. But its heart lies at the sunken-in courtyard of Fortaleza Galle Restaurant and Bar. We came by for lunch and we immediately felt the relaxed and easy going vibe of the place. On one side, sits a dimly-lit area for its bar. While dining benches soak up the warm light of the sun its courtyard. 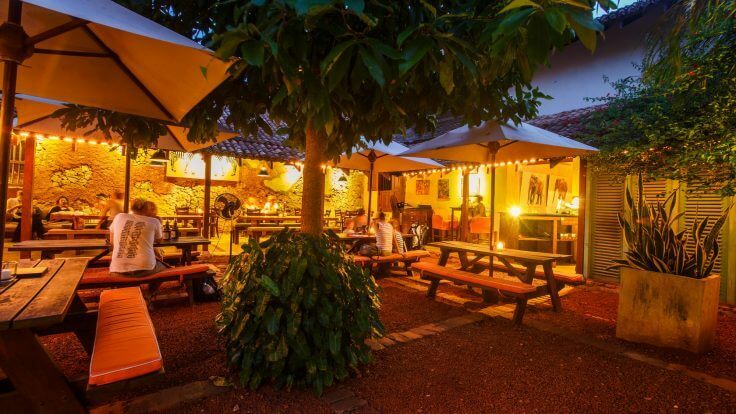 Courtyard of Fortaleza Galle Restaurant and Bar. Photo Courtesy of Fortaleza . Fortaleza Galle Restaurant and Bar serves breakfast, lunch, dinner, snacks, coffee, tea, fruit juice and cocktails. 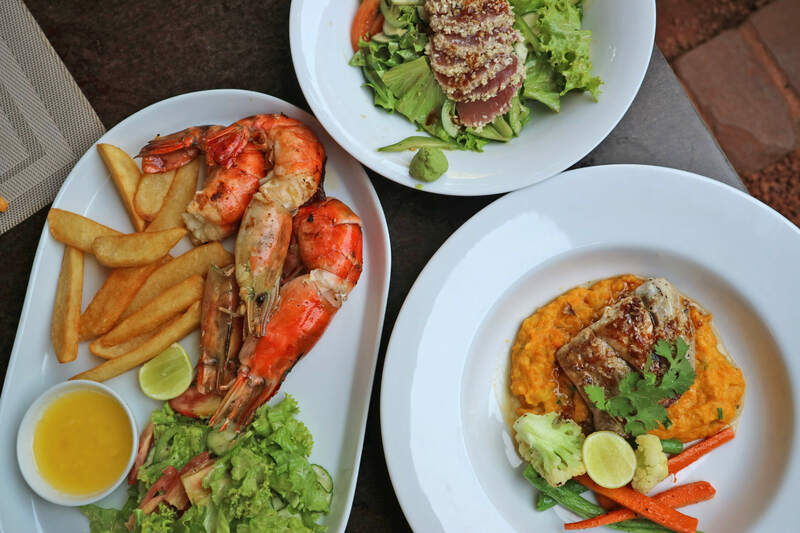 For diners and bar-goers alike, they also have a well-curated selection of wine to pair perfectly with the food served. Surely, Chef Arun has turned Fortaleza Galle’s culinary offering into a fine art. 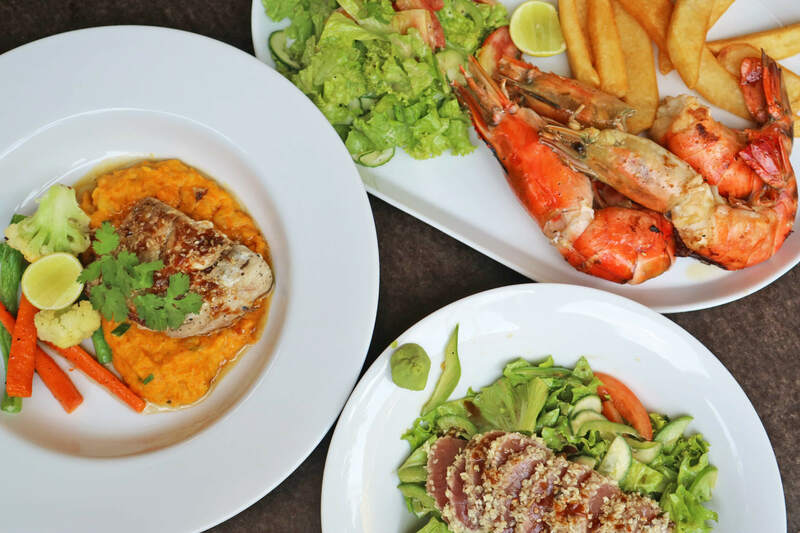 The menu is basically contemporary-western in style with a distinct Asian accent. A thing that sets Fortaleza Galle Restaurant and Bar apart is their commitment to food quality. Along with serving a well-curated menu, Chef Arun makes sure to use only the very best quality, fresh ingredients sourced locally. Fruits, vegetables and salad leaves are bought from the the local market. On the other hand, their meats are all locally reared. While all fish and seafood served in Fortaleza Galle are caught by local fishermen. 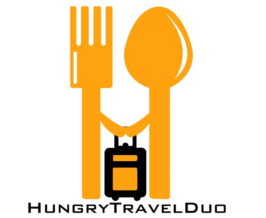 The Restaurant can accommodate up to 50 or 60 people in private dining or communal table arrangements. 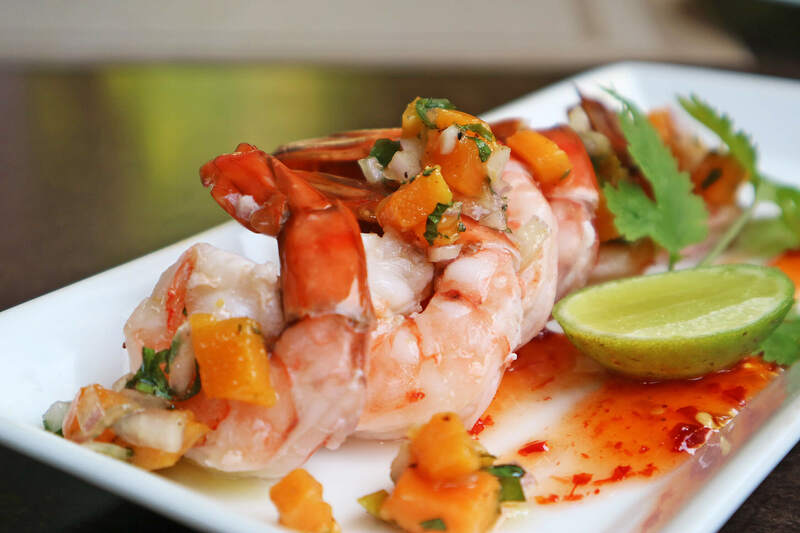 A refreshing plate of prawns in sweet-chili sauce, topped with sweet mango chunks and a zest of lime. This definitely opened up our appetite! Asian Prawns by Fortaleza Galle. Vegetable Samosas (LKR 825) – HTD Favorite! Our favorite appetizer! Outside, the shell was golden brown to a crisp. While inside, a soft tasty mix of boiled potato, onions, green peas, spices and green chili. 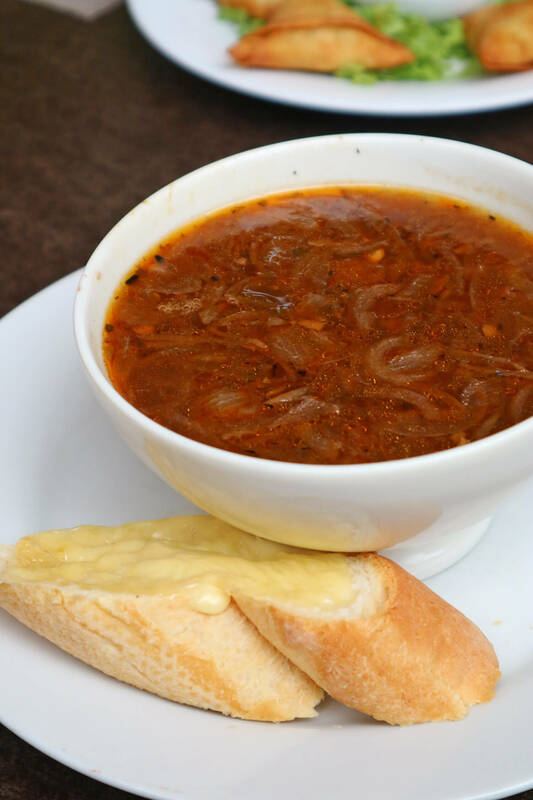 A bowl good enough for two, the onion soup was earthy and well-seasoned. We loved that they were generous with putting plenty of slices in. 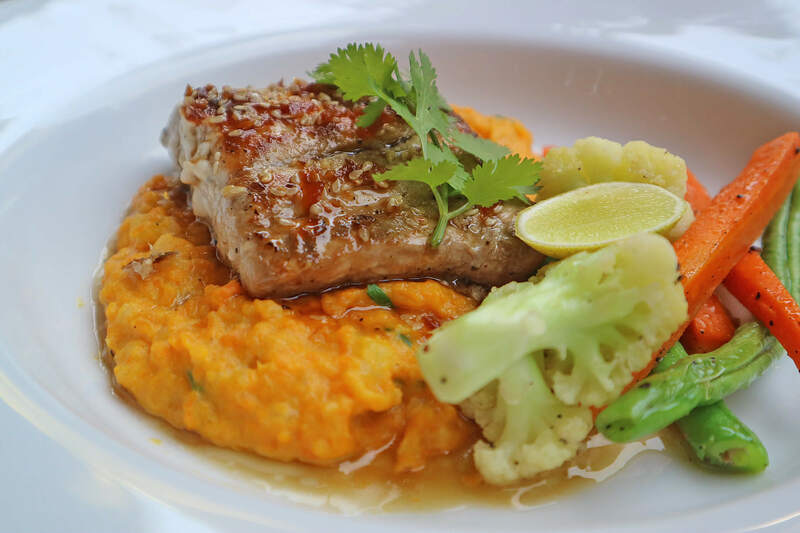 Pan-Fried Mahi-Mahi (LKR 2050) – HTD Favorite! Definitely the freshest catch of the day! The portion was big, seasoned with the right amount of spice. The sauteed vegetables and mashed sweet potato complimented the fish well too! We love eating sashimi so this was a must try. 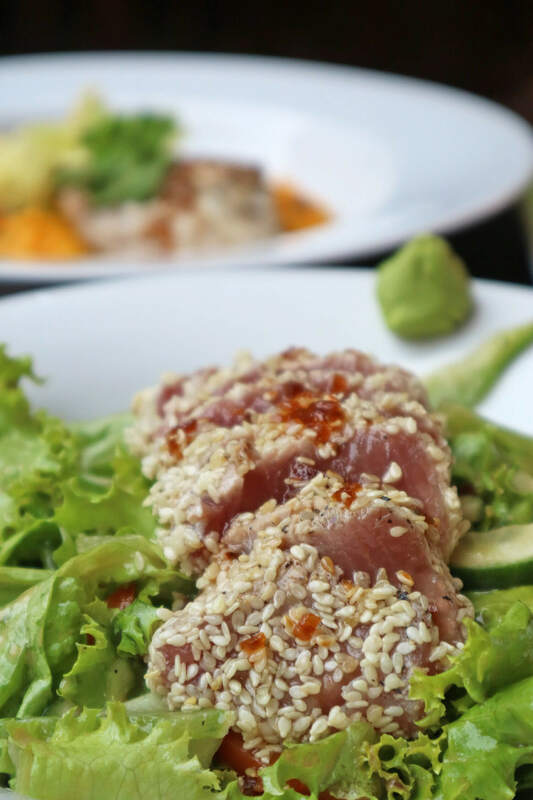 The tuna was as fresh and local as it gets! Loved the crunchy texture of the sesame crust mixed with the softness of the raw middle. Served sauce and wasabi. 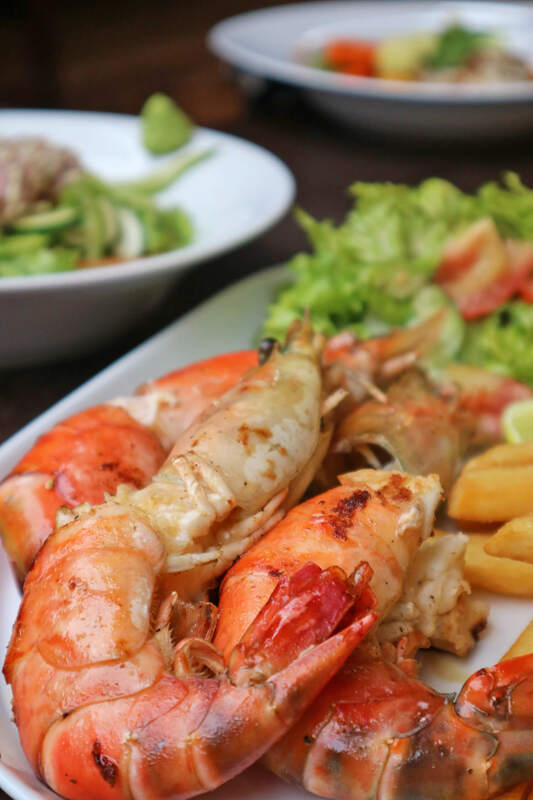 Grilled Jumbo Prawns with Garlic Butter Sauce (LKR 850) – HTD Favorite! These were giants! We were really craving for seafood that day so this was the highlight of meal for me and Karla. Absolutely loved how the garlic butter blended so well with the fresh and lightly seasoned prawns. Served with steak fries and garden salad. For dessert, we had the Affogato (LKR 500), Podi Banoffee Tart (LKR 600) and Fortaleza Chocolate Brownie (LKR 720). We love our dessert sweet and gooey so obviously the Fortaleza Chocolate Brownie was the clear winner! It was rich and delicious but could have used a little warmth to make it gooey inside. Overall, we would definitely recommend you dine in at Fortaleza Galle Restaurant and Bar when you come around Galle Fort. Five stars for food quality and service. Although a little on the pricier side, a dining experience in Fortaleza Galle is a must. Visit after dark for for a nice romantic date night or a cozy evening with family or friends!